The words below are the most important words used when talking about all things related to the human head. Some of the words may seem familiar to you. Yes, there are a few characters that we have learnt before. Hi Min Min, instead of Tooth i think you meant teeth, am i right? In Chinese, we do not have singular or plural form for noun. 牙齿 can be tooth or teeth. I hope I am not wrong to use tooth in this context. like in english a.b.c.d. ….z, please refer me a basic book and also if you have some helpful notes send it to me on my email , because i come ot chin nowadays, and i have a big problem in communication . kindly do a favor of me. 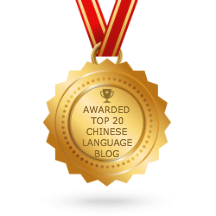 When you say the alphabet in Chinese, do you mean the Chinese pronunciation (Pinyin) system ? I have created a Pinyin ebook “Learn Hanyu Pinyin In 24 Days”. I hope it can help you to pronounce Chinese properly. 气味 means smell. I think the verb is siu or xiu. character for siu or xiu. Do you know the character ‘嗅’? The character you are looking for is 嗅 ( xiù ). Hi Min Min!! your website is amazing!! What do you think about adding quotes of Confuccius or Lao Tse to the website?